While in Barcelona we decided to explore Mount Tibidabo. Metro L7 took us in no time from Placa Catalunya to Avenida Tibidabo. You can take the famous blue tram to Tibidabo funicular. You can also take the bus (your metro ticket is valid in the bus, but not in the tram). You can also run there if you like. We Beat The Blue Tram! from J8N Productions on Vimeo. The old tram seemed slow and crowded, so we didn't use it. On our way down we raced the tram - and beat it too! From the funicular station we hiked up past a dog shelter to the best trail in Barcelona. Carretera de les Aigües (Road of Waters) is named after the water pipes that once ran there. Nowadays it is a very popular trail for local runners, MTB-riders and hikers. This about 5km long balcony is suitable for anyone with comfortable running gear. There are markings and water fountains, but take a map and bottles just in case. Don't forget your camera, as the views over Barcelona are fantastic. Collserola Park covers about 10,000 hectares. The flora and fauna are interesting. You can easily spot the 288-meter high Torre de Collserola designed by Norman Foster for the 1992 Olympic Games. You may also notice an observatory on a nearby hill. Tibidabo Funicular is the easiest way up to Mt. Tibidabo (517m). There you will find the old Tibidabo Amusement Park and Sagrat Cor Cathedral side by side. We took the elevator up to the observation deck and then climbed the stairs all the way up. Just keep on climbing until you reach the big statue of the golden Christ on the top. This (about 565m) is the highest elevation in Barcelona. The 360-degree scenery is spectacular. You may even see Montserrat and the snow-peaked Pyrenees. Here are a few panoramas from the top of BCN. Overall I'd say you can't beat Barcelona weather in October. During our Thursday-Sunday long weekend visit it was sunny every day. Both air and water temperatures were pleasant 20-25°C. We spent the hot afternoons swimming and barefoot running at the excellent La Barceloneta beach. We also took a great 4-hour Fat Tire Bike Tour of the city. Barceloneta Beach Cruising from J8N Productions on Vimeo. 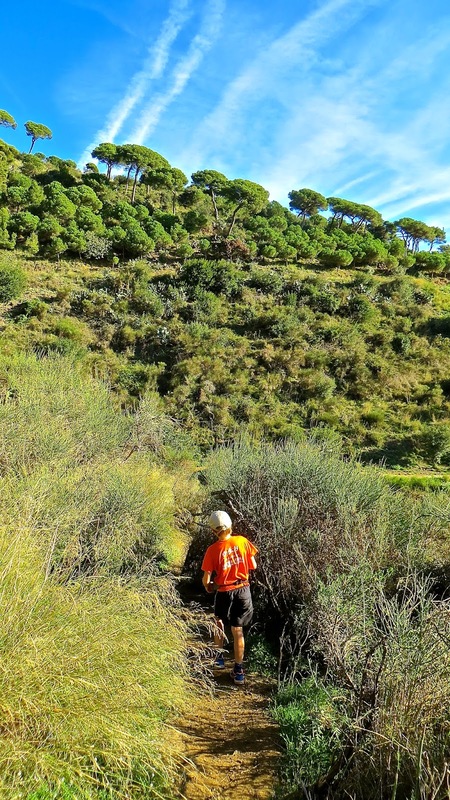 Here is a 1-minute trailer from our Mount Tibidabo Expedition. Tibidabo from J8N Productions on Vimeo. Want to race? 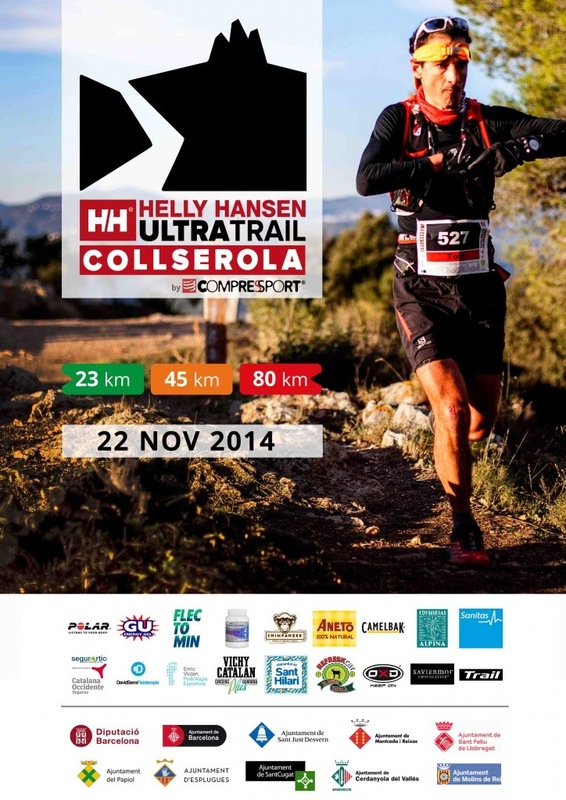 Try 80 km +2700m Ultra Trail Collserola on November 22 (sold out for 2014, so plan for 2015). 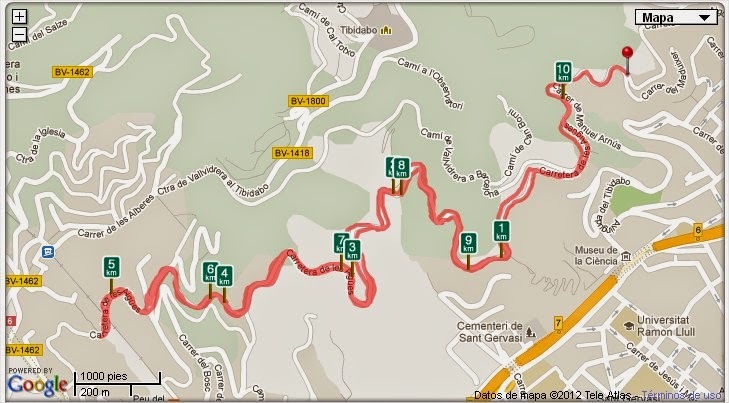 There is also Ultra Trail Barcelona (UTBCN) 100km +4500m on 26 April 2015. It's in Begues, about 20km to the south from BCN airport. If you are into triathlons, I recommend Ironman Barcelona. The full distance race is in October. I did it in 2012, when it was called Challenge Barcelona. It's in Calella about 50km to the north. There is also an Ironman 70.3 (half) in May. 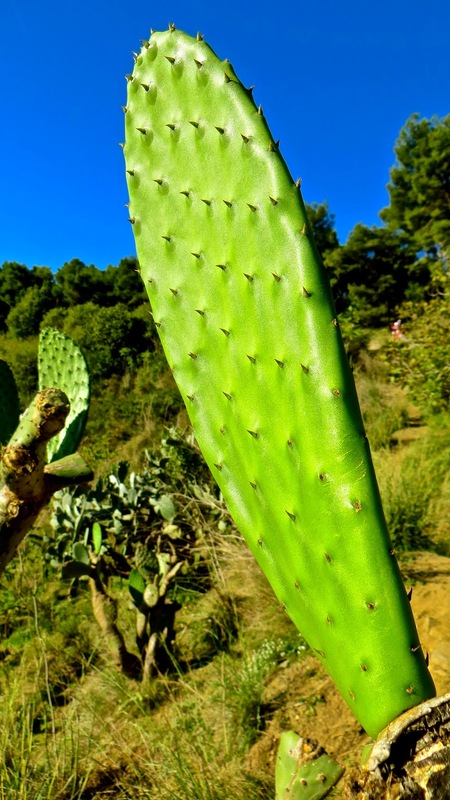 Here are some of our best Tibidabo pics. Mercès BCN! Barcelona from J8N Productions on Vimeo. Lavaredo Ultra Trail 2015 - I'm in!